With World Bipolar Day just around the corner on 30th March 2018, we take a look at the disorder and how it affects the sufferer. Suicide is the leading cause of death in bipolar sufferers. 25-60% of bipolar patients will consider suicide and around 19% will take their own life1. According to several studies, people with bipolar are 20-30 times more likely to commit suicide than the general population. Bipolar, both I and II, is characterised by mood swings; depressive periods followed by episodes of mania. The severity of the disorder differs from patient to patient. Some patients with bipolar I can have mixed episodes, but generally more manic episodes than those diagnosed with bipolar II who have more depressive episodes than mania. 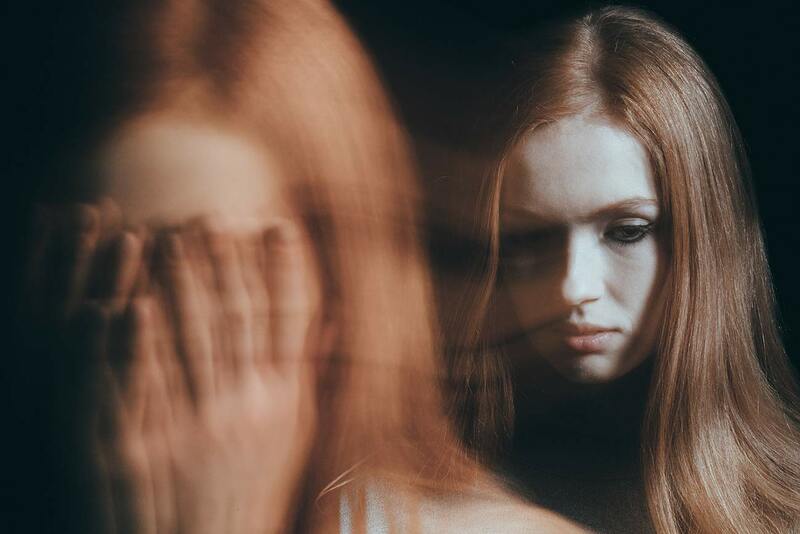 You might think someone experiencing bipolar II would be more at risk of suicide during a depressive episode, however the manic phase is also extremely difficult for patients to manage. Reckless and impulsive behaviour experienced during a manic phase can lead the sufferer to act without foresight or recognition. Sometimes this will present itself as drug abuse, alcohol addiction or spending sprees, but on occasion this will include suicidal behaviour. When we think about the glut of rock stars who end up taking their own life, it’s a lot clearer if we accept and attribute this to an illness rather than to assign it to the downfall of a creative genius. Kurt Cobain, for example, was diagnosed with bipolar before he took his life in 1994 aged just 27. More recently, Amy Winehouse was a diagnosed bipolar sufferer. Years of dealing with a severe mental health issues can take its toll. It has long been documented that bipolar and addiction disorders are often conjoined2. Finding relief in alcohol or drugs can be a temporary release for bipolar sufferers even though this behaviour will inevitably exacerbate their symptoms. Again, during a manic episode the consequences of rash behaviour are ignored. Unfortunately, suicide is just one aspect of the disorder. Bipolar patients are more likely to die young and to get injured. They are three times more likely to accumulate debt and have far higher rates of divorce and relationship breakdown3. With these factors in mind, getting a diagnosis is extremely important. The majority of bipolar cases are treatable. In the UK as many as five million people could be living with some form of bipolar, most of them enjoying full and successful lives, including celebrities such as Stephen Fry, Russell Brand and Catherine Zeta-Jones. However, it can take up to 10 years to get a correct diagnosis for some4. Up to 70% of sufferers are misdiagnosed in the first instance and, on many occasions, bipolar is diagnosed as depression which can have serious consequences. During times of no – or wrong – diagnosis, bipolar sufferers are still at risk from the entire spectrum of symptoms. A disorder that can be treated effectively could be making life unbearable for hundreds of thousands, if not millions, of people in the UK alone, and could be putting them at risk of suicide or early death. Bipolar can be genetic: if there is a family history it is more likely that you will develop the disease. However, there are other attributing factors: A mix of biochemical, genetic and environmental factors can play a part; stress, or a particularly stressful life event can trigger bipolar; the hormonal changes of pregnancy can also be a trigger. Have you noticed changes in your sleep patterns? Are you struggling to sleep? Have you experienced depression for an extended time period? Have you found it hard to continue with everyday life? Have you experienced ‘highs’: periods of time where you feel elated and significantly more happy than usual? Have you experienced rapid thoughts and speech? Have you engaged in risky and reckless behaviour? Has your behaviour caused serious upset in relationships at home or at work? Do you have a family member with bipolar? If you think that you might have bipolar, it’s so important to get a proper diagnosis. Having effective treatment can make a huge difference to a sufferer’s quality of life. The fact that the suicide rate in bipolar patients is so high is alarming and not well publicised enough. If you think that you are experiencing any of these symptoms, are concerned you may know someone who needs help, or are a diagnosed bipolar patient and would like more information on our services, please contact us to book a consultation with one of our consultants at The London Psychiatry Centre to find out how we can help. Call us now on 020 7580 4224. Have you experienced trauma and need help?